Dreams are universal, but their perceived significance and conceptual framework change over time. This book provides new perspectives on the history of dreams and dream interpretation in western culture and thought. 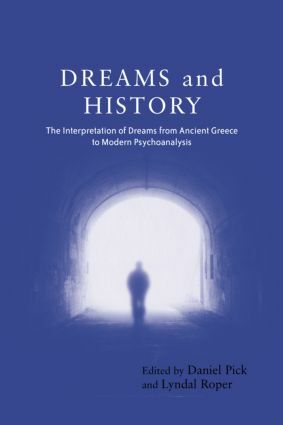 Dreams and History contains important new scholarship on Freud's Interpretation of Dreams (1900) and subsequent psychoanalytical approaches from distinguished historians, psychoanalysts, historians of science and anthropologists. This collection celebrates and evaluates Freud's landmark intellectual production, whilst placing it in historical context. A modern view of psychoanalysis, it also discusses the controversial idea of the role of the external world on the shaping of unconscious mental contents. In highly accessible language it proceeds through a series of richly illustrated case studies, providing new source materials and debates about the causes, meanings and consequences of dreams, past and present: from Victorian anthropological exploration of ancient Greek dream sources to peasant interpretation of dream-life in communist Russia; from concepts of the dream in sixteenth-century England to visual images in nineteenth-century symbolist painting in France. Dreams and History will fascinate those interested not only in psychoanalysis and history, but also arts, culture, humanities and literature.